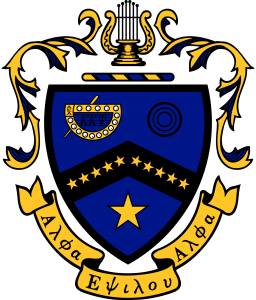 Kappa Kappa Psi, National Honorary Band Fraternity (ΚΚΨ, colloquially referred to as KKPsi), is a fraternity for college and university band members in the United States. It was founded on November 27, 1919 at Oklahoma Agricultural and Mechanical College, now known as Oklahoma State University, in Stillwater, Oklahoma. Kappa Kappa Psi primarily operates as a recognition society providing service, leadership opportunities, and social programming for band members. Tau Beta Sigma, National Honorary Band Sorority, has been recognized as a sister organization since 1947, and the two organizations share National Headquarters in Stillwater Station, a converted historical Santa Fe rail depot that was purchased by the fraternity and sorority in 1991. For more information, visit the K-K-Psi website.